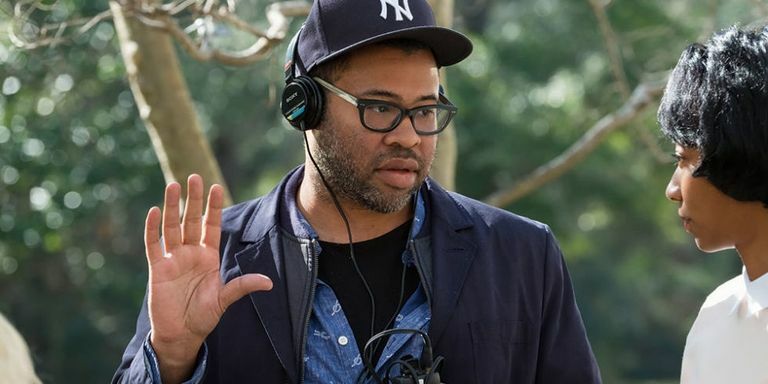 If tonight's Independent Spirit Awards are anything to go by, the Oscars are going to be very good for Jordan Peele and Get Out. Peele's racially charged thriller-comedy has been the popular pick all year long, and tonight it won Best Feature at the Indie Spirits. Peele also won Best Director. Groundbreaking director Spike Lee made the presentation of Best Director award to Peele. “It’s clear that we are in the beginning of a renaissance where stories from outsiders are being honored,” Peele said during the Best Picture acceptance speech that capped the night. Frances McDormand won Best Actress for Three Billboards Outside Ebbing, Missouri, just as she's expected to do at the Oscars. Her co-star Sam Rockwell also won for Best Supporting Actor, which he is also expected to repeat tomorrow. Luca Gudagnino's Call Me By Your Name was well represented, with young star Timothee Chalamet winning Best Actor, and Sayombhu Mukdeeprom taking the award for Best Cinematography. Greta Gerwig's Oscar-nominated Lady Bird won for Best Screenplay, while real-life couple Kumail Nanjiani and Emily V. Gordon won Best First Screenplay for their sleeper hit comedy, The Big Sick, about their complicated courtship. BONNIE AWARD – Bonnie Tiburzi Caputo joined American Airlines in 1973 at age 24, becoming the first female pilot to fly for a major U.S. airline. In her honor, the inaugural Bonnie Award will recognize a mid-career female director with a $50,000 unrestricted grant, sponsored by American Airlines. JEEP TRUER THAN FICTION AWARD – The 23rd annual Truer Than Fiction Award, funded by the Jeep brand, is presented to an emerging director of non-fiction features who has not yet received significant recognition. The award includes a $25,000 unrestricted grant funded by the Jeep brand. KIEHL’S SOMEONE TO WATCH AWARD – The 24th annual Someone to Watch Award, funded by Kiehl’s Since 1851, recognizes a talented filmmaker of singular vision who has not yet received appropriate recognition. The award includes a $25,000 unrestricted grant funded by Kiehl’s Since 1851. PIAGET PRODUCERS AWARD – The 21st annual Producers Award, funded by Piaget, honors emerging producers who, despite highly limited resources, demonstrate the creativity, tenacity and vision required to produce quality, independent films. The award includes a $25,000 unrestricted grant funded by Piaget.